At camp, children gain valuable life skills. In fact, an organization called The Partnership for 21st Century Skills (comprising a group of businesses, education leaders, and policymakers) has found there is a large gap between the knowledge students learn in school and the skills they need to be successful in the 21st century. After extensive research, the organization determined that some of the skills necessary to become successful adults are communication, collaboration, creativity, leadership, socialization, and problem solving. All of these areas are fostered in the camp environment. There is more to learning than test taking and achieving good grades. Camp offers one of the most powerful learning environments and can be a place where a child's social education takes place. It provides children with the opportunity to try new activities. When children succeed at these activities, they build self-esteem. Children also build social skills and problem- solving skills by being part of a supportive community and partaking in activities together. Campers are challenged and encouraged to grow every day. Today's children spend more than 7.5 hours a day engaged with technology, which often takes the place of vital hands-on activities and socialization opportunities. The majority of summer camps ban most technology, including TV, smartphones, tablets, and personal computers. Taking a break from technology over the summer allows children to communicate face to face. Balancing school schedules, homework, and extracurricular activities doesn't leave much room for play. The American Academy of Pediatrics (AAP) reports that free and unstructured play is healthy and essential for helping children to reach important social, emotional, and cognitive developmental milestones. It also helps kids manage stress. 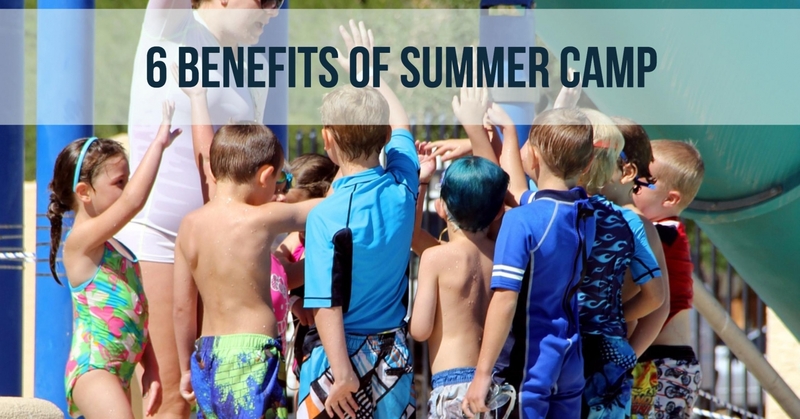 Traditional summer camps give children plenty of play time, which leads to healthy emotional and social development. Students often attend school year after year with the same peers, which can lead to labeling and being "stuck" with a particular perception. A child may become known as studious, quiet, etc., when, really, he can be boisterous in another setting. Children who go to day or sleepaway camps meet a whole other group of people in a different environment. Often times, a child will break out of his supposed categorization if given the chance. Children get to reinvent themselves at camp and be who they truly want to be, which helps them to build confidence. When children go to camp, they are given the opportunity to grow more independent. Whether for a day or an entire summer, separation from one's parents means a camper has to learn to rely on himself and other trusted adults and peers. Separation from parents gives a child the ability to think independently, which builds self-esteem.